Well, after months of palative care at the bedside of a dying cel phone, I finally succumbed to the lure of the iPhone. Is it sustainable? Uhh… Is it recycled? Um, no… Is it cool? Oh yeah. But it also further emphsizes the opposites in my existence. The push and pull between my love of technology and my desire to simplify. Between my desire to work less and the ability to work more. Between the thrill of being connected and the uneasy feeling that I might never be able to detach. 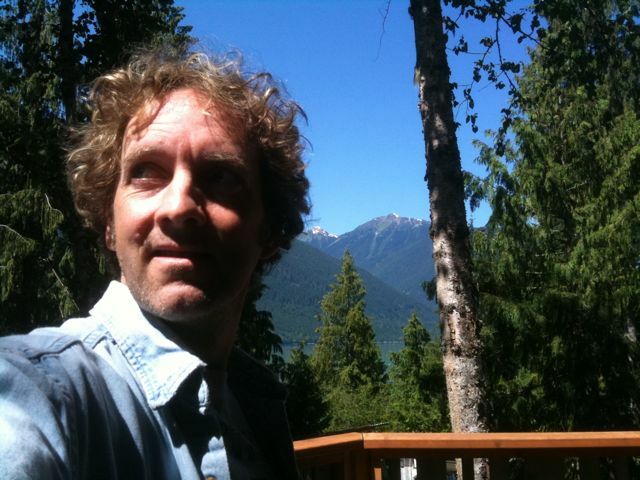 So I write this blog from the deck of our cabin in the Coast Mountains north of Whistler. Poking the keypad while swatting enough mosquitoes to make a salad. Off the grid, but wired to the world. And I tell myself it’s like all technology. Not evil of itself, but just another instrument with which to inflict our insecurities upon the world. And so it is, dear Green Briefs readers… Stay tuned for even more fumbling attempts at eco-balanced reporting, and perhaps grant me a bit more slack for typos on this little touch pad. I guess life (and green living) isn’t always about efficiency. Sometimes you just have to look col- ccol… COOL. Previous: « Branding alternative fuels? Raise Hell.